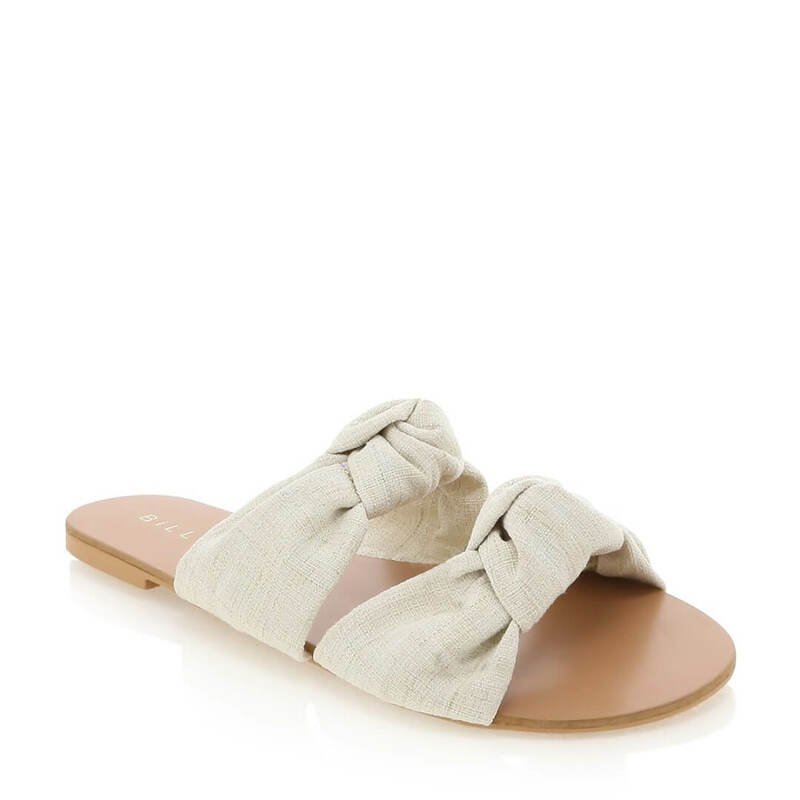 Madena by Billini is a chic, slide. Featuring a knotted double strap upper on a natural footbed. 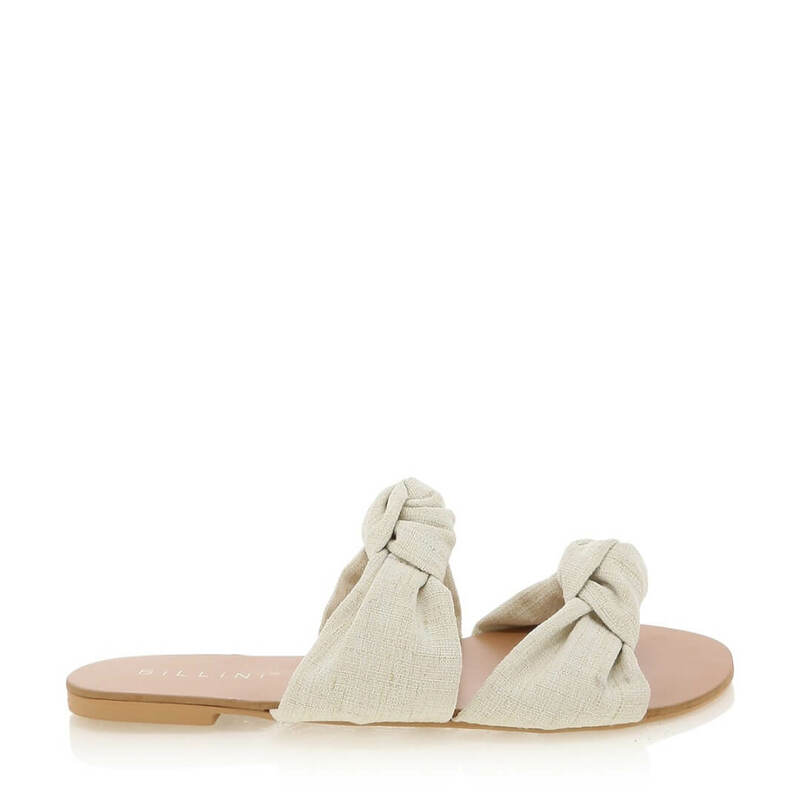 This feminine slide inject soft and subtle summer vibes to your current wardrobe.